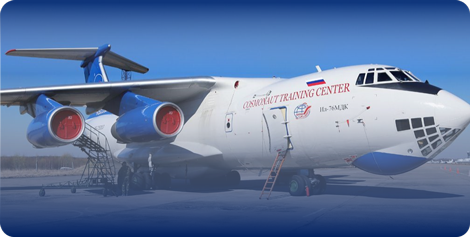 October 17 2015, we organized a teambuilding for workers from a aviation sport club board a IL-76 MDK aircraft! We are all used to the idea that team buildings for a company are cocktails, dancing, and the possibility of getting to know colleagues better! 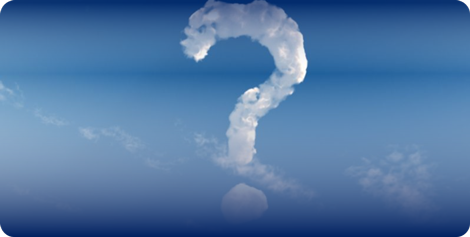 But nowadays it has become very popular to organize team buildings for big companies. That’s why more and more young successful people try to pass their time with their colleagues in an active way and doing extreme sports! The friendly group of 12 people decided to organize their team building in a very unsual way feeling weightlessness. That’s why we had the pleasure of organizing a Team building in a Zero Gravity flight board a IL-76 MDK aircraft for a group of workers from an aviation sport club. The teambuilding from the aviation sport club invited the C.E.O. 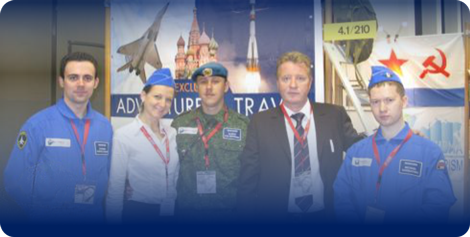 from our company Country of Tourism as well to take part in the Zero Gravity flight with them. 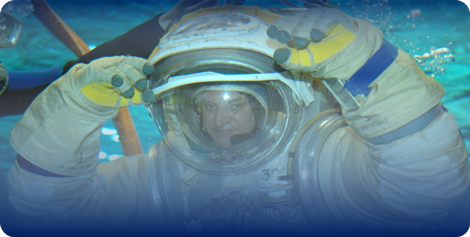 The teambuilding in the Zero Gravity was scheduled for the 17 October, so during the morning the group from the sport club arrive to the Yuri Gagarin Cosmonaut Center. Firstly, all participants had a medical checkup before the flight. After the check up all had a parachuting orientation, where they were also showed a movie about the Zero Gravity flight itself, and how it all happens. All participants from the flight were very excited about the Zero Gravity Flight! The bus from the Yuri Gagarin Cosmonaut Training Center arrived to the aerodrome Chkalovsky, where the IL-76 aircraft was already waiting for them, where the group of happy participants will have their teambuilding activity in Zero Gravity. As they arrived, all participants decided to take a real close look at the aircraft, took pictures with the unique IL-76 MDK aircraft. The beautiful IL-76 MDK was ready for its next big flight in Zero Gravity! All of our participants boarded in the aircraft. All of them were given a parachute, that’s a part of the emergency training. The instructors from the Yuri Gagarin Training Center helped the participants to wear their parachutes. 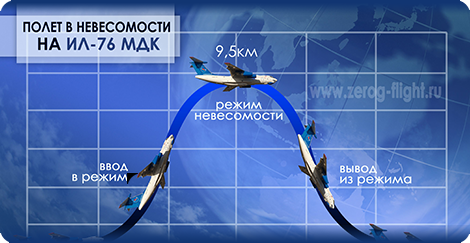 The Zero Gravity flight board a IL-76 MDK aircraft lasted 1 hour and 15 minutes. During that time they felt 10 Zero Gravity modes. The whole tripulation of the IL-76 MDK took the flight as a friendly team. 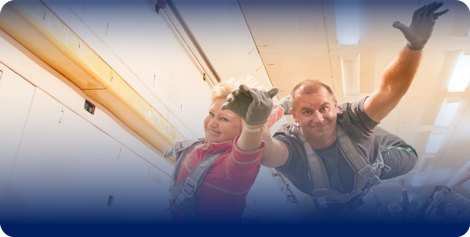 The participants could do acrobatic in the air, they flew throughout the whole aircraft in weightlessness. The instructor from the Yir Gagarin Cosmonaut Training Center were amazed with the pictures and videos from every moment in the Zero Gravity. 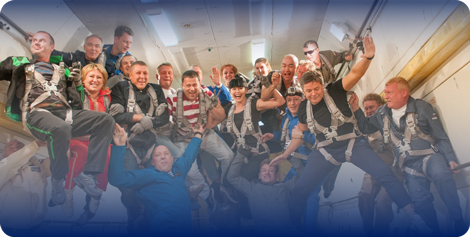 A whole bunch of new sensations and pleasant experiences from the teambuilding in Zero Gravity left the Center as a friendly team!